Beginning in 2018 some* servicemembers will begin earning automatic and matching contributions to the Thrift Savings Plan (TSP) as well as other compensation benefits. *Servicemembers joining service after January 1, 2018 will be automatically enrolled into this new plan. 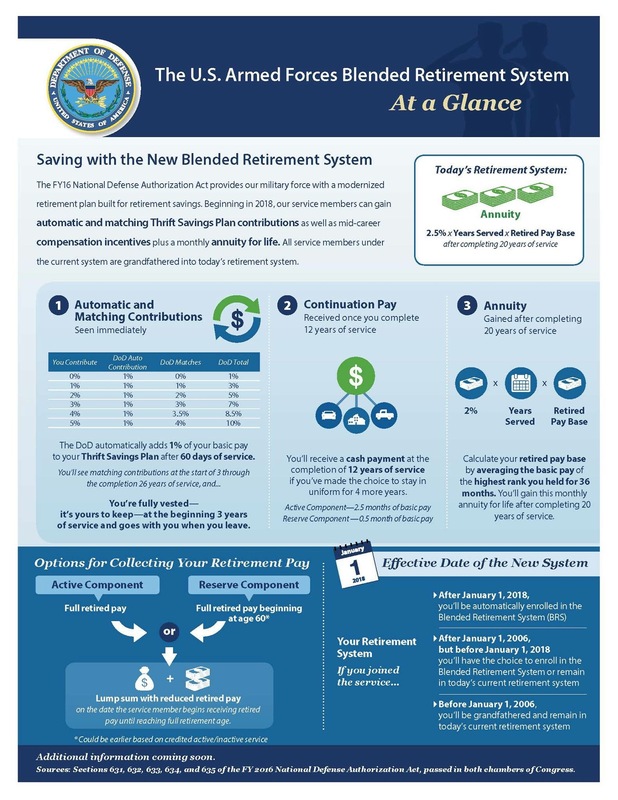 Those currently serving who joined after January 1, 2006 and before January 1, 2018 will have the opportunity to switch to the new blended retirement system or retain the current 20-year defined benefit plan with no matching or automatic funds into the TSP. Those servicemembers who joined service prior to January 1, 2006 will be grandfathered and remain in the current retirement system. See the attached one-pager for information. 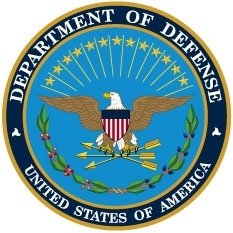 Also, DoD plans to put out additional information soon. Stay tuned for more information.